Yashasvi Jaiswal is a 17-year-old. Mumbai is his adopted home. Born in Bhadohi district of Uttar Pradesh, he moved to India’s cricket capital at 11. 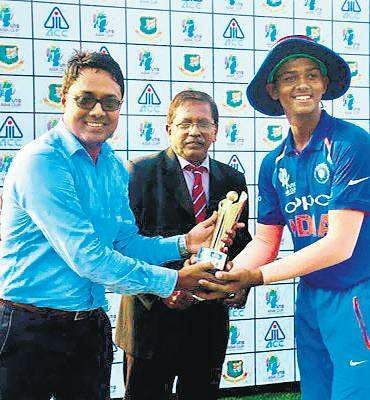 Last Sunday, a few days after Prithvi Shaw had converted one of his dreams into reality, Pranav Dhanawade, the first cricketer in the world to score 1,000-plus in an innings was unable to find a place in the XI for an E Division team in Mumbai’s Kanga League. Just two years after making the headlines for the highest-ever individual score in any form of recorded cricket, this son of an auto-rickshaw driver who was promised scholarships by Mumbai Cricket Association, is at a stage that many pursuing the sport in India cricket go through. Since those two days in January 2016, Dhanawade’s career has only been on the descend. Last season, when the MCA conducted U-19 trials, he failed to make the cut, but eventually made it to England through a scholarship arranged by Dilip Vengsarkar. Yashasvi Jaiswal is a 17-year-old. Mumbai is his adopted home. Born in Bhadohi district of Uttar Pradesh, he moved to India’s cricket capital at 11. His father, who runs a shop, didn’t stop his son as he struggled to feed a family of four. Relocating to a city where he hardly knew anyone apart from his uncle who couldn’t accommodate him at his small house in Worli, Jaiswal first stayed in a shop, which soon threw him out because he was only playing cricket and not working. It was only after his uncle managed to find a place at Muslim United Club that Jaiswal started playing regular cricket.It was just the beginning of his hardships. In the six years he has spent in Mumbai, Jaiswal has sold pani-puri and fruits in the evenings in Azad Maidan, hiding this from his teammates. There were also days when Jaiswal joined his friends for lunch and asked them to bear the expenses. After playing, Jaiswal’s days would end making rotis at the club tent under candlelight. This boy wonder, who resides in a small chawl, spends summer nights under a plastic roof, where the heat generated makes sleeping difficult. But more than these struggles, in Mumbai’s maidans it is his talent that makes eyeballs turn. “At 11, who comes to a city like Mumbai with a dream of playing for India? It happens only in Bollywood movies,” says Jwala Singh, Jaiswal’s coach. “Of course, he had the talent and courage to take on senior boys, because that was the only way he could earn around `300 a week. Once I put him against a strong side, he was not even rattled. I asked him ‘aren’t you nervous,’ but his reply ‘I found surviving in this city and to get a meal very challenging. Here I just need to score sir, don’t worry, I can handle this’.”It is hardly surprising that Jaiswal soon found a place not only in the Mumbai junior side, but also made it to the India U-19 team and was the leading run-scorer in the team’s triumphant Asia Cup campaign. Shaw, Dhanawade and Jaiswal are not the only such cases. Armaan Jaffer, Shreyas Iyer or for that matter India regulars Rohit Sharma, Ajinkya Rahane all graduated through the ordeals that many humble and middle-class families encounter in Mumbai. No cricketer emerging from the city doesn’t have a story on the long journeys on local trains, where boarding with huge kit bags is itself a challenge. So how does Mumbai keep churning out gems year after year? “If a coach singles out a particular child, we take interest in him. Apart from that, we also scout maidans for potential. Summer camps—in April and May—are the best time for doing that. We do rounds of Borivali, Kandivali, Ghatkopar, Andheri and other major centres. If we come across a child in a school team with talent, then we try to get him enrolled in our school. 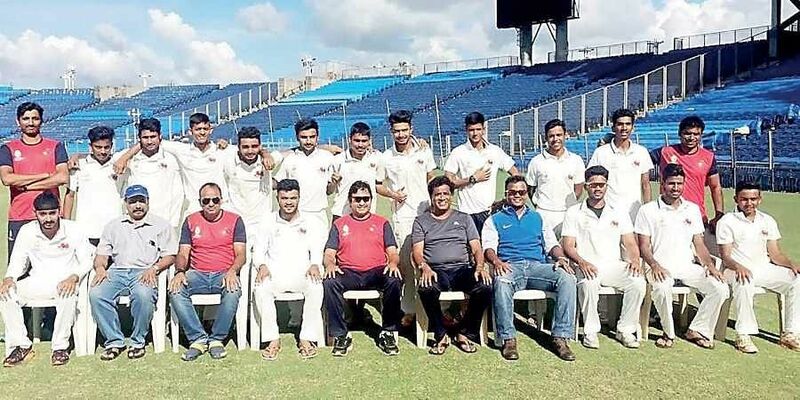 For such cases, we reach out to our management,” says Raju Pathak, a cricket coach at Rizvi Springfield High School, which has given talents like Rohit, Shaw, Sarfaraz Khan, Jaffer. Once they enrol, all that these kids are told is to practise, play, practise, sleep, repeat. What aides these kids is a strong school structure and age-group tournaments that no other city in India boasts of. On an average, a cricketer in his teens plays around six-seven tournaments a year with the season beginning in July and running till May. The biggest advantage of playing these matches is that they prepare them for situations kids in other cities don’t experience. “The heart of Mumbai’s cricketing culture is definitely its schools. Mumbai has a lot of cricket compared to other parts of India. IPL is perhaps the reason why other zones have a seen a rise but that’s not the case with us. And, we focus on all formats, one-day, two-day, three-day, and four-day,” says Pathak. The other thing that strikes is how these kids are allowed to play their own game. While it is common for coaches to focus on conventional methods, most in Mumbai don’t necessarily preach that. The bottom-hand grip is a great example. While most coaches don’t encourage this technique, after Sachin Tendulkar a lot of kids have picked this up. Of course, his 30,000 international runs is testimony that bottom-hand grip isn’t a flaw. Even Shaw started with the same and was allowed to carry on. It is worth mentioning that even Rahul Dravid, who coached Shaw at India A, asked him to stick with it. “We generally don’t tinker with technique. Most of these guys start young. By the time somebody plays a tournament when he is eight, his priority is to score. At that level, players rely on their dominant hand. It is what gives them the power to hit boundaries... So why change it, just for the sake of it! If something works for you as a kid, and you continue to thrive on it, then it is better not to change it. You notice Prithvi because he is playing at the highest level, but you look around the maidans here, you will find hundreds with bottom-hand grips,” Raghavan says.Watch out for the next one. As history shows, he is expected to be from the maidans of Mumbai.